Identity Management (IDM) refers broadly to the administration of individual identities within a system — such as a company, a network, or even a country. IDM systems provide organizations with tools and technologies for establishing and controlling access for various service deliveries. The term IDM must be viewed in the context of the application. For instance, in an enterprise, IDM could be about establishing and managing the roles and access privileges of individual or network users. A government may use IDM tools to establish the identity of its citizens for government services. So why is IDM so important for organizations of all types? In a world unified by the Internet, it is critical to know who is using a certain system or systems. Governments need to know about each and every one of their citizens. An airline should know about each one of its passengers. Health workers should know about each one of their patients. The list is endless. Once you know whom you are serving, your systems are secured against threats from the unknown. Security is the main benefit of Identity Management systems. Our IDM Business Unit provides organizations with a suite of solutions that ensure effective, secure, and reliable identity management. Our core IDM products addresses the requirements of organizations to establish the identity of its users and citizens. For example, while issuing passports, driving licenses and national ID cards, a government needs to be thoroughly certain that duplicates do not exist. Our solutions for police forces provide highly effective criminal identification capabilities using fingerprints. We ensure that the benefits reach the right persons, whether it is in healthcare or aid distribution. SecuRegister™ a multi-modal biometric system for establishing the identity of persons, is our flagship product for identity management. 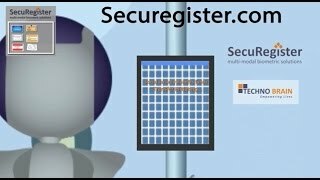 SecuRelief™ using SecuRegister™ as the base platform, authenticates individuals using demographics and biometric features. SecuRelief™ is a product that uses the SecuRegister™ base platform to verify and authenticate individuals using demographics and biometric features. This process is used in the distribution of government relief and to ensure that services reach the intended recipients in accordance with individual entitlement. Our IDM solutions enable functions ranging from voter registration and offender management to license issuance and physical access control. Subsidy Distribution: Enrols, verifies, and authenticates citizens using their demographic details, along with captured biometrics, to ensure that resources are reaching the right people. The Malawi Police wanted a solution that will help track and detect criminals at a faster rate, so as to improve investigation and speed up delivery of justice. Techno Brain implemented an AFIS-based Criminal Tracking System that helped improve crime prevention. The solution reduced the average search time and minimised the risk of errors associated with the manual procedure of identification. With Techno Brain’s solution, the Malawi Police improved their overall operational efficiency. To meet its operational objectives, DOI took a conscious decision to upgrade its present manual system of Border Control System to a computerized Integrated Border Control System. Techno Brain implemented biometric based Integrated Border Control System (IBCS) that provides the Tourists / Residents / Citizens / Asylum seekers verification of documents like Passport, Visa, Driving Licenses, ID Cards and Finger Prints and photographs at the Border Check posts. The NDA wanted a computerised verification system to address challenges faced while serving clients. Techno Brain provided a complete, web-based Electronic Verification System that enabled the NDA to determine the quantity of drugs being imported, issue verification certificates, and to understand and have a deeper viewon all the applications received. In order provide better family planning services and reduce frequency of unwanted pregnancies, PHSI required a system to identify accurate enrolment and identification of its patients.Techno Brain implemented multi-modal biometric enrolment,identification and verification system, to PHSI to manage their patient enrolment and identification across locations. TCC was facing a number of issues in their day to day activities due to a decentralized system in place and lacked a central data repository. We provided a centralised web-based solution that captures fingerprints & photographs of all the tobacco growers and eliminates the issue of bogus entries, multiple club memberships through a de-duplication process. The solution enabled TCC to capture and share real time information about their farmers, and their selling patterns. Techno Brain’s biometric-based passport issuance system, built on AFIS/iris/face recognition technology, increased security and eliminated fraud for the Department of Immigration, Tanzania. The solution replaced the earlier unsecured and unstable system which often resulted in long delays. The new system reduced the average time taken for passport production, eliminated any form of duplication, and enhanced compatibility with passport requirements of the International Civil Aviation Organisation (ICAO) and the International Organisation for Standardization (ISO).